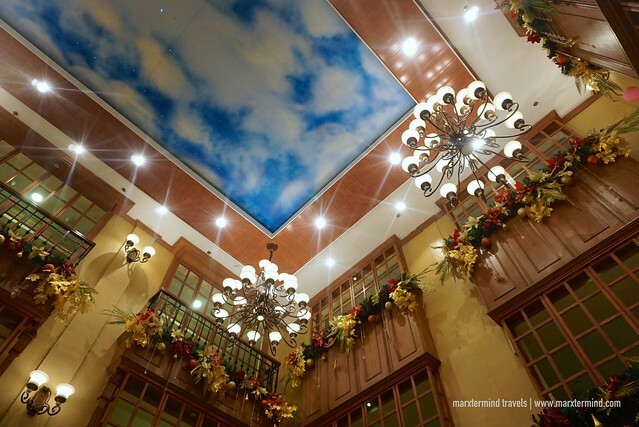 Established in 1993, Villa Caceres Hotel is now one of the most popular hotels in the Bicol region. Whenever I ask my relatives who live in Bicol for a place to stay in Naga City, they always recommend the hotel. 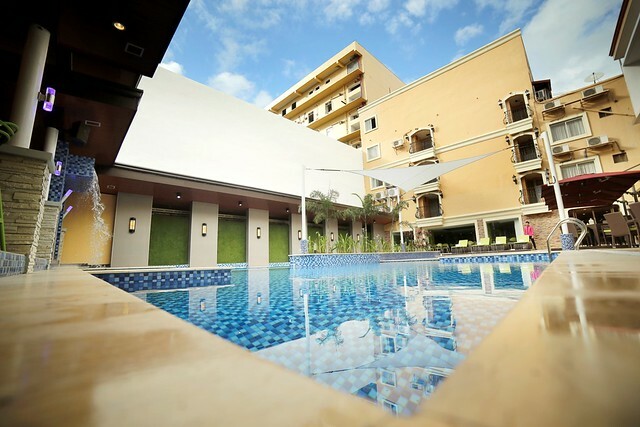 It is known as The Gem of Bicolandia offering guests the utmost standard of luxury and comfort. The hotel features incomparable accommodations, magnificent amenities and admirable hospitality. 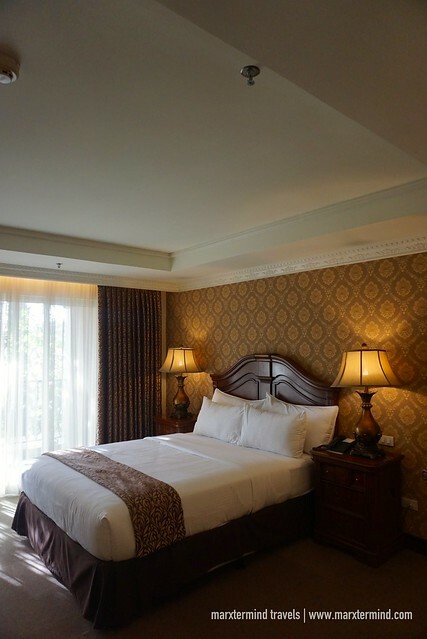 It also has a Victorian-inspired décor making this property an elegant and interesting hotel in the city. 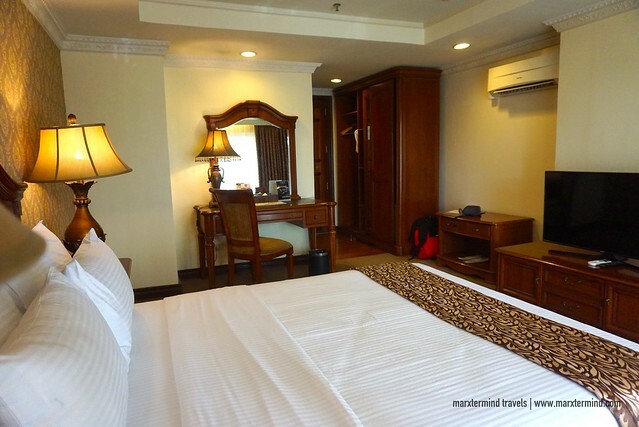 When I visited Bicol again for a special occasion, I decided to stay at Villa Caceres Hotel and made it my home for two nights. I attended a wedding of my Aunt and I was part of the entourage. The reception was in Naga City so I thought it was finally a perfect opportunity to also experience the hotel. It was around 10:00 AM when I arrived at Villa Caceres Hotel. From the airport, the hotel offers free shuttle ride but I wasn’t able to take it. That was because when I went out of the terminal, I was still thinking if I’ll go straight to the hotel or visit my relatives first. But I was tired and sleepy. Too bad that before I came to a decision that I would just go to the hotel so I can rest, the shuttle already left the airport. But that was okay because going to Naga City is easy by riding a taxi, bus or jeepney. Located along Magsaysay Avenue, I didn’t have a hard time to reach Villa Caceres Hotel. Riding two jeepneys from the airport, I reached the hotel in less than an hour. Staff warmly greeted me when I entered the hotel vicinity. I went straight to the front desk to ask for early check-in. I presented my ID and the staff handed me a form. After completing the form, I handed it back to the staff. She told me that I could check in early. The room was already available. The next thing I knew she was already handing me my room key cards. 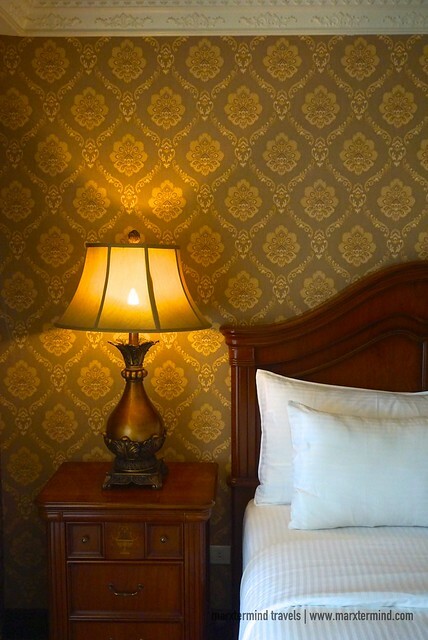 Villa Caceres Hotel features 186 tastefully furnished rooms and suites. 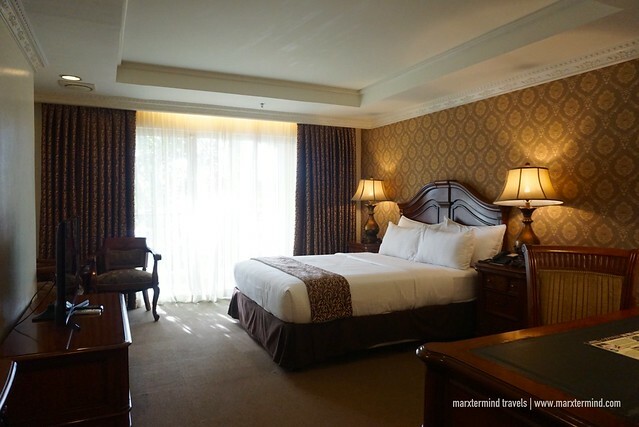 Guests can choose Economy, Standard or Executive for room type while for suites there are Family Suite, Bridal Suite, Presidential Suite, or Group Suite. You may check the room rate and availability here. I stayed in an Executive Room. I was in awe seeing how lovely and luxurious it looked it like. It has a stately décor with a nice and classic ambiance. It is also cozy and comfortable with its in-room amenities. The room also has wooden flooring and finely crafted furnishings making it a little more elegant. It was beautiful, I must say. Now, I know why my relatives always suggest this place. My room has air-conditioning and has a queen size bed. It also features a sitting area, small table, work desk and a cable television. It also has a luggage rack, cabinet, mini refrigerator and electric kettle. 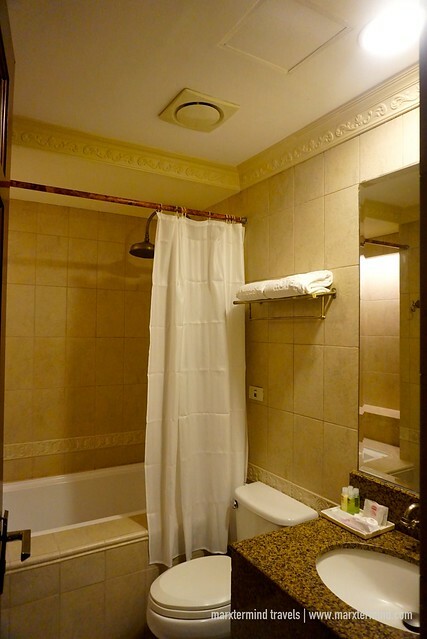 The private bathroom also looks nice and tidy. It is provided with bathroom amenities. It also has a bath tub. The room also has a balcony. I didn’t able to get a sleep yet so after taking few photos of the room, I jumped into my bed and had my much-needed rest. I slept the entire day. It was already dinner time when I woke up. Not only a place to relax, Villa Caceres Hotel is also an ideal place for celebrations. 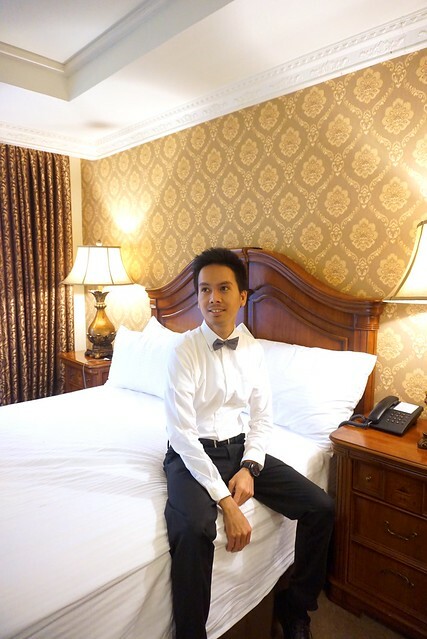 With a nice lighting and elegant decoration, I found the room perfect for a quick photo shoot with some of my relatives while we were dressed up. 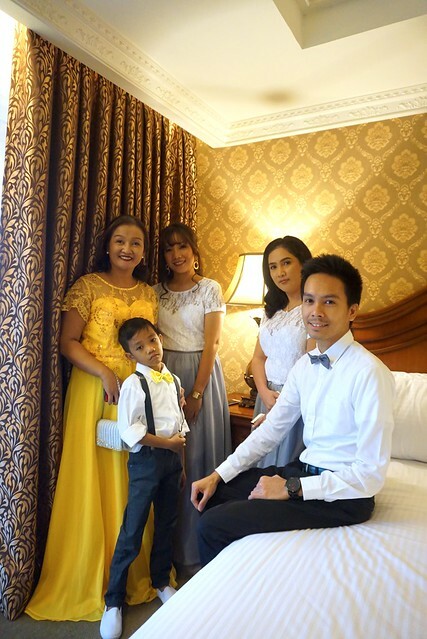 So if you’re in Naga City and will have a wedding or birthday or will simply attend a special occasion, I highly suggest Villa Caceres Hotel. Villa Caceres Hotel is a gem of Bicolandia also because of the amazing facilities that it offers. 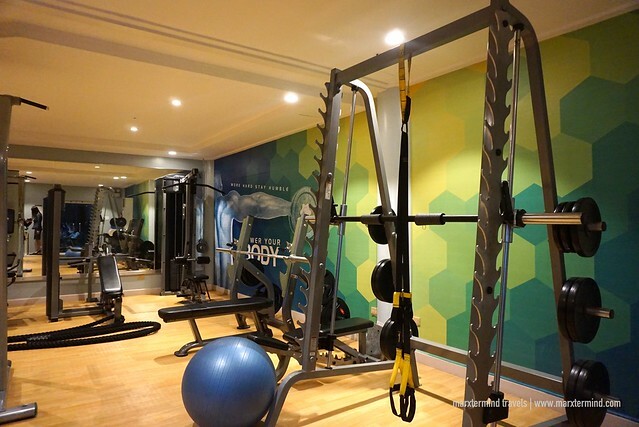 Some of the facilities to enjoy are the swimming pool, fitness center and spa. The hotel has a number of restaurants offering delectable dishes and cuisines. One that I was able to try is RJ’s Buffet. 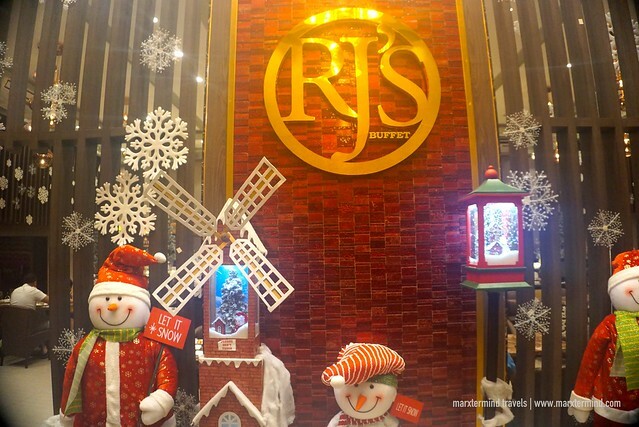 RJ’s Buffet is a buffet restaurant open all day and night serving breakfast, lunch and dinner. I was able to try it during breakfast. 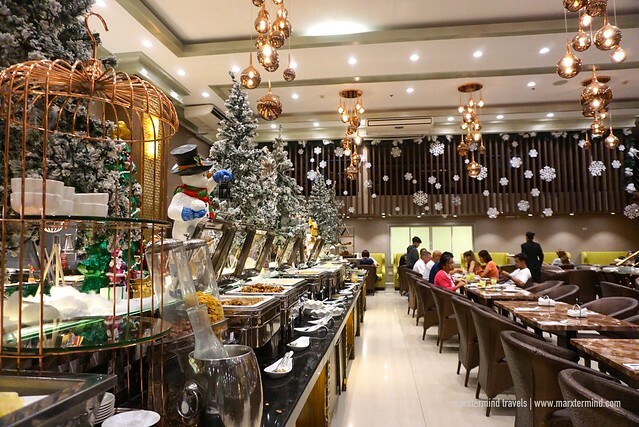 The buffet consists of local and international fare. There’s a selection of Bicolano and Filipino food. The buffet spread was sumptuous. I have to say, it’s one of my favorite local breakfast buffets that I had in a hotel. Aside from the restaurants, the hotel also has a bar. Bistro Roberto features live music and amazing performances. 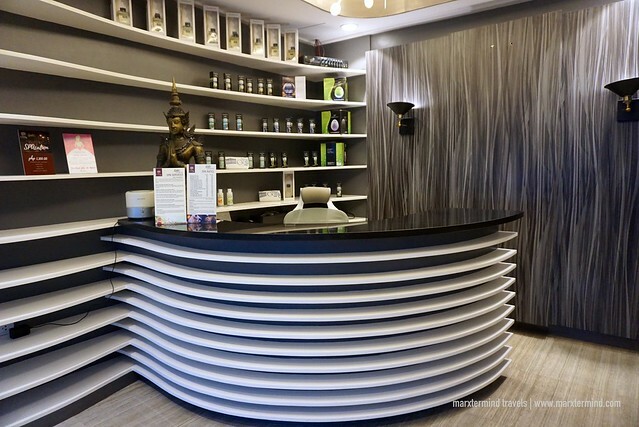 Other facilities of the hotel include complimentary Wi-Fi connection, 24-hour front desk, concierge and room service. The hotel also offers venue for weddings, meetings, conventions and other celebrations. 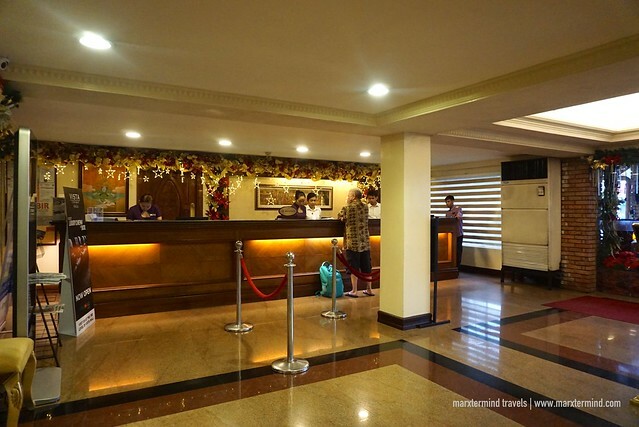 Villa Caceres Hotel provided me the comfort and convenience that I needed to have while in Naga City. 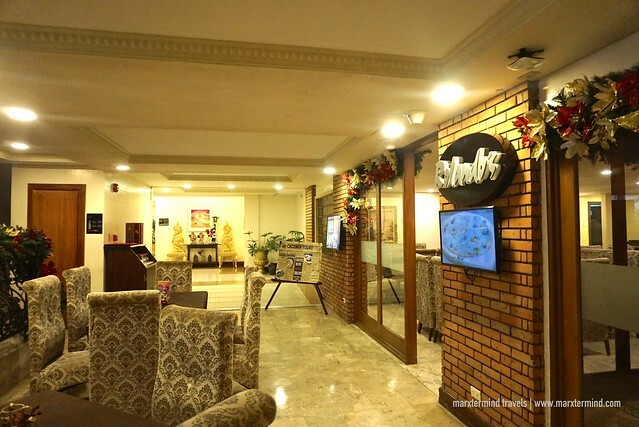 With gracefully decorated rooms, outstanding facilities, and admirable hospitality, it is certainly the gem of Bicolandia. I enjoyed my stay and will definitely choose this place again when I go back to Naga City. Villa Caceres Hotel defines the new standard of luxury and comfort for its guests that it can rightfully be called The Gem of Bicolandia. The hotel offers incomparable accommodation and services. It features comfortable and elegant rooms and suites that come with magnificent amenities. Next story How to Apply for a New Zealand Tourist Visa in the Philippines? Glamorous is the perfect word to describe the hotel rooms. Seeing your photos, I feel like I’m a princess when I stay there. Thank you for your detailed review of this hotel.